The centre is home to familiar names, such as Coles, Liquorland and McDonalds as well as day-to-day services, including a medical centre, butcher, cafés, newsagency, bakery and specialty retailers. The centre is due for further expansion, increasing the area of the retail space and providing opportunities for new retail stores, community services and entertainment operators to become part of the Manor Lakes Community - a future shopping and entertainment paradise! On the off chance you can’t find what you need right here at Manor Lakes, Werribee is just a short drive with its many boutiques, specialty retailers, homeware stores, hardware stores, banks and major supermarkets. Pacific Werribee offers over 300 stores, including Myer, H&M, Uniqlo, Cotton On, Rebel Sport, Big W, Kmart, Best & Less, JB HiFi, as well as fresh food outlets, cafes, gold class cinemas, every day services and many other entertainment options and specialty stores. Having undergone a multimillion-dollar refit, Pacific Werribee is sure to become an iconic destination for lovers of fashion, food and entertainment. Offering the most comprehensive retail offering in Melbourne’s western growth corridor, the centre’s store directory includes an array of major retailers. 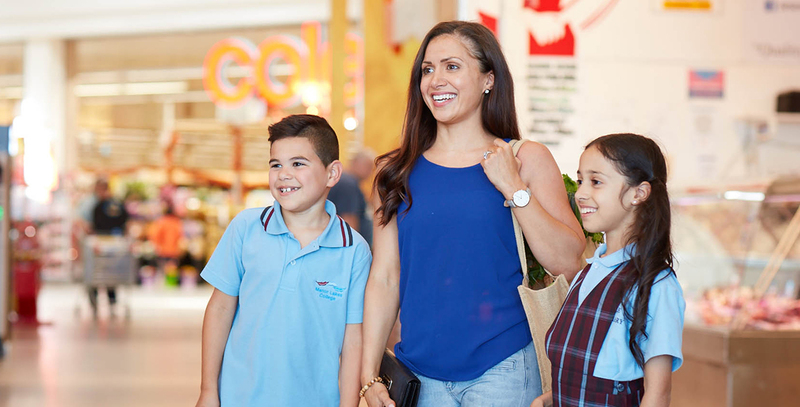 Including Myer, Big W, Kmart, Target, Best & Less, JB HiFi, international brands, speciality stores, a culinary choice of cafes, their unique Urban diner precinct, a 400 seat food court area for casual dining and a Village Cinema complex with Gold Class cinemas. Watton Street Werribee offers shoppers the chance to stroll amongst nearly 372 traditional strip retailers, including speciality stores and business services. Watton Street is also home of the monthly Twilight Market, which is held on the 3rd Friday of every month. Visit the Twilight Market for further information. Conveniently located at the end of Armstrong Rd, on Greens Rd is Wyndham Square Shopping Centre. The centre includes major retailers, Woolworths, Aldi, Caltex and several smaller speciality stores that will cater to your everyday needs.